3. The main over-current components such as impeller and agitator impeller are made of high abrasion-resistant materials. 7. The motor submerges into the water, making it easier to manage without building complex ground protection and fixing devices. 9. The equipment will work directly under the water without noise and vibration, and the site will be cleaner. Integral agitator: The 27% chrome white iron agitator assists in the pumping of slurries by breaking up large particles and agitating high concentrations of solids. 3.The maximum weight concentration of the ash is 30 % and maximum weight concentration of the slag is 60%. 4.Maximum submerged depth under the water is 20 meters, the minimum submerged depth takes submerging of the motor as reference. 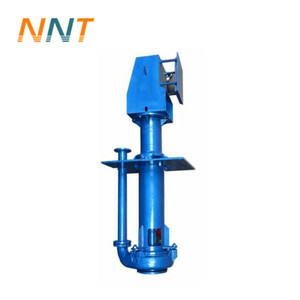 Tai'an Fine Environmental Protection Machinery Co., Ltd.
Jinan Everflowing Pumps Co., Ltd.
We produce pump products with high quality, and we will treat our product like our baby to make sure the long stable relationship with our clients. We believe that only thinking for our clients can we solve clients&rsquo; problems and make a longterm and friendly relationship. Now we have 2 sales departments, one is in Taizhou city, another is in Hangzhou city. Shicheng Jinchuan Mineral Equipment Co., Ltd.
Related Products Main products : Submersible pump, stainless steel submersible water pump, hot water pump, sea water pump, deep well submersible pump, sewage pump, ZPQK/SXQK single suction and double suction mining water pump, QZB/QHB axial flow pump, mixed flow pump,LX screw centrifugal pump and 3 phase submersible Ac motor. 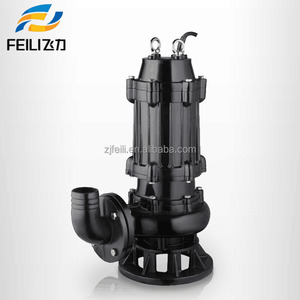 Main products: Submersible pump, stainless steel submersible water pump, hot water pump, sea water pump, deep well submersible pump, sewage pump, ZPQK/SXQK single suction and double suction mining water pump, QZB/QHB axial flow pump, mixed flow pump,LX screw centrifugal pump and 3 phase submersible Ac motor. 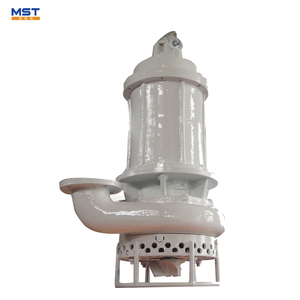 Main products : Submersible pump, submersible borehole pump, sea water pump, deep well submersible pump, sewage pump,mine slurry pump, mine water pump, axial flow pump, mixed flow pump, screw centrifugal pump and Three phase submersible Ac motor and electric submersible oil pump(ESP). Guide bearing is added on this pump to make its operation more stable and flushing water should be fixed at the position of guide bearing. The pump head need to be submerged in the water when working. The gap between the impeller and the back liner can be adjusted to ensure the pump working efficientl y. Features &#9670;The slurry pump impeller and liners are all made of high chrome alloy (Cr26 materail) with anti-wear,anti-abrasive and longer life features. &#9670;The slurry pump impeller and liners also can be made of rubber material. Finished pumps About us *We have manufactured pumps for more than 20 years,and we have exported the pumps to more than 20 countries to the world. Anhui Kolinda International Trade Co., Ltd.
Shijiazhuang Muyuan Pump Industry Co., Ltd. If you are not sure which centrifugal pump will best suit your application, please don't hesitate to contact us for optimized solution and quotation. ,LTD is a professional manufacturer of centrifugal slurry pumps, with an production area of 80,000 m2, up to date automatic production line and precise testing equipments. Our centrifugal slurry pump is registered under brand name MUYUAN and we have special distributors in Europe and South America. Heavy duty roller bearing are housed in a removable bearing cartridge. Impeller adjustment is provided in a convenient position below the bearing assembly. 3. Impeller & liner material: high chrome white iron, rubber, etc. 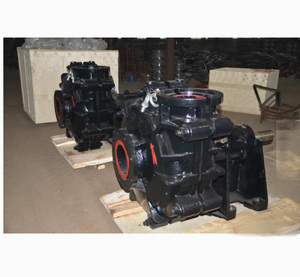 Alibaba.com offers 3,623 mine submersible slurry pump products. About 76% of these are pumps. 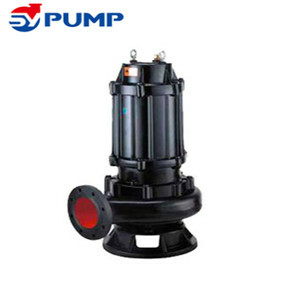 A wide variety of mine submersible slurry pump options are available to you, such as single-stage pump, multistage pump, and screw pump. You can also choose from electric, hydraulic, and pneumatic. As well as from water, oil, and air pump. And whether mine submersible slurry pump is sewage, submersible, or maritime. 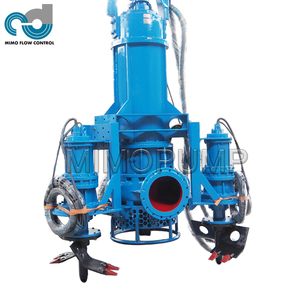 There are 3,622 mine submersible slurry pump suppliers, mainly located in Asia. 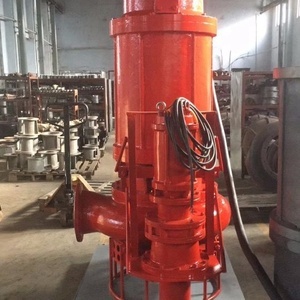 The top supplying countries are China (Mainland), United Kingdom, and India, which supply 99%, 1%, and 1% of mine submersible slurry pump respectively. 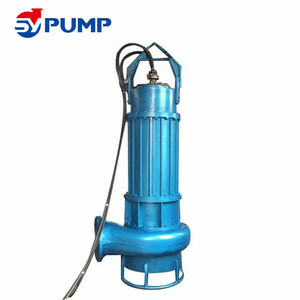 Mine submersible slurry pump products are most popular in Southeast Asia, Africa, and Domestic Market. You can ensure product safety by selecting from certified suppliers, including 2,754 with ISO9001, 698 with Other, and 79 with ISO14001 certification.